This case study is based on the landmark paper by Paxton et al. (1996) that uncovered some of the mechanisms of protection against HIV infection. Using a progressive disclosure format, students are guided to suggest hypotheses, predict the outcomes of experiments, and compare their predictions with the paper’s results. 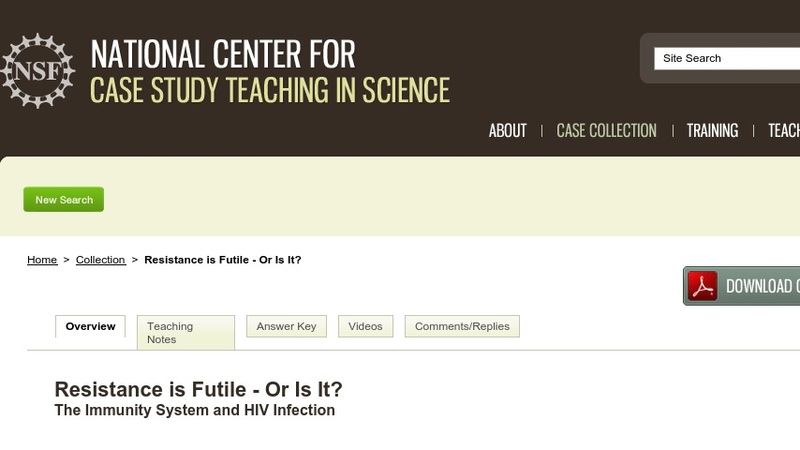 Developed for a first-year non-majors biology course, the case is appropriate for introducing students to the immune system and the human immunodeficiency virus.